This is a man in Venice making an amazing glass masterpiece. See how he is constantly turning it around because it's so weak and bends down all the time. 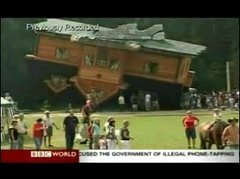 A man in Poland build an upside down house to try to make people aware of where we are going with the earth. Apparently it's a big attraction and you feel weird when your inside. 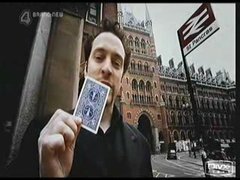 Derren Brown trys to transmit the name of a card to you. did you get it? 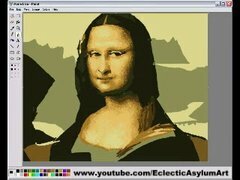 This is how you can make the famous Mona Lisa in Microsoft Paint. I requires some practice and a good painters eye.